Add a touch of Christmas magic to any bedroom with this beautiful Scandi king size bedding set. 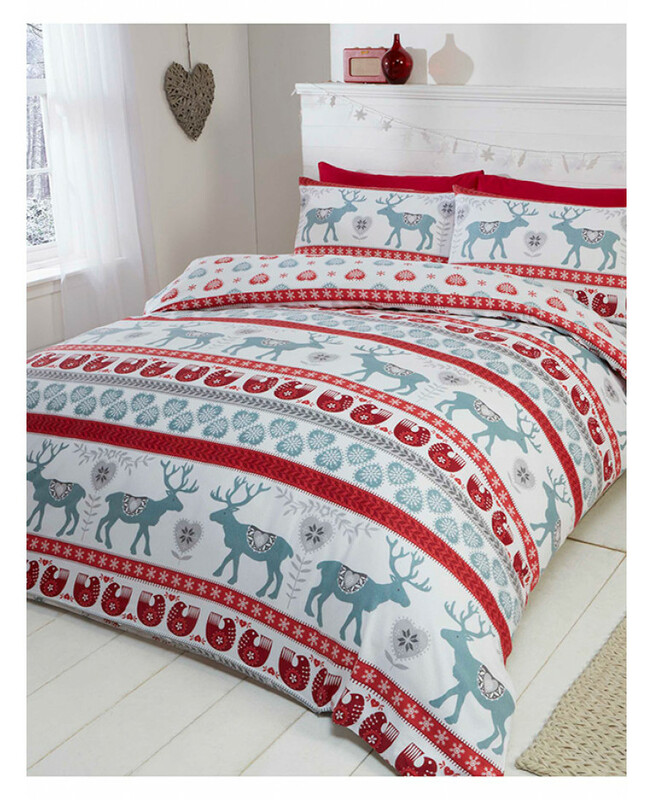 The festive Scandinavian inspired design features rows of reindeer, hearts, birds and snowflakes with Nordic style patterns in tones of sage, red and grey, set on a white background. This item is made from super soft brushed cotton and is suitable for machine washing and tumble drying.